Description: Each of these notes shows a portrait of Prince Arthur on the left hand side of the note. The right side has a vignette of Britannia. These are quite scarce. Prices start at around $2,000 and go up from there based on condition. Varieties: There are no varieties to this issue. 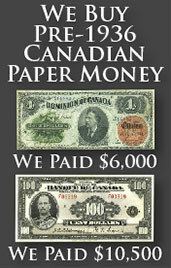 We buy all of these 1872 ten dollar bank notes from Prince Edward Island. Values are based purely on condition. If you would like our offer, then please send us pictures of your bank note. We will grade the paper money and respond back quickly with our buy and sell price. 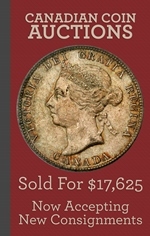 You might be surprised at how much money some notes from Prince Edward Island can be worth.